A meandering river flows freely through the indifferent pebbles and rocks, before finally coming down with an impressive ferocity. The resulting echoes permeate the nearby surroundings, and can be heard far and wide. This is another of nature’s wonders, which combine grace and power, and invokes awe and fascination. 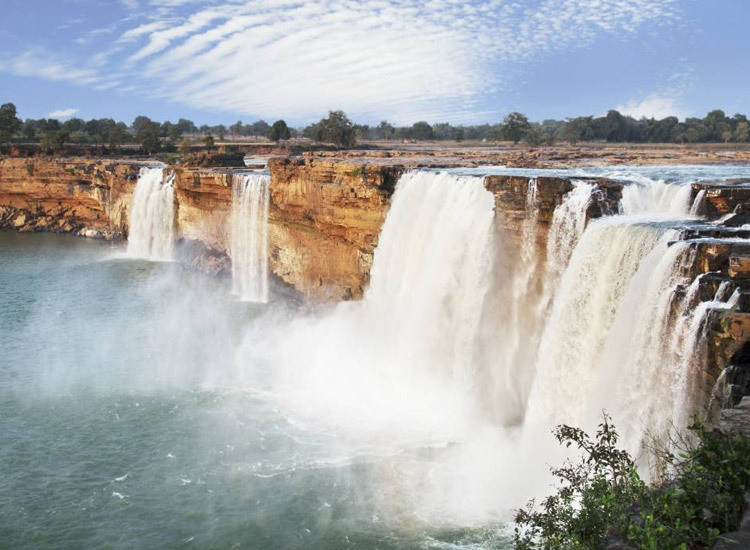 India is home to many great waterfalls, and each of them are spectacular. While some of the waterfalls enchant onlookers with their ferocity, others evoke endless awe and admiration due to the graceful manner in which they descend. It’s such a treat to enjoy the scenic waterfalls in India. This blog brings to you the best waterfalls scattered all across the country. 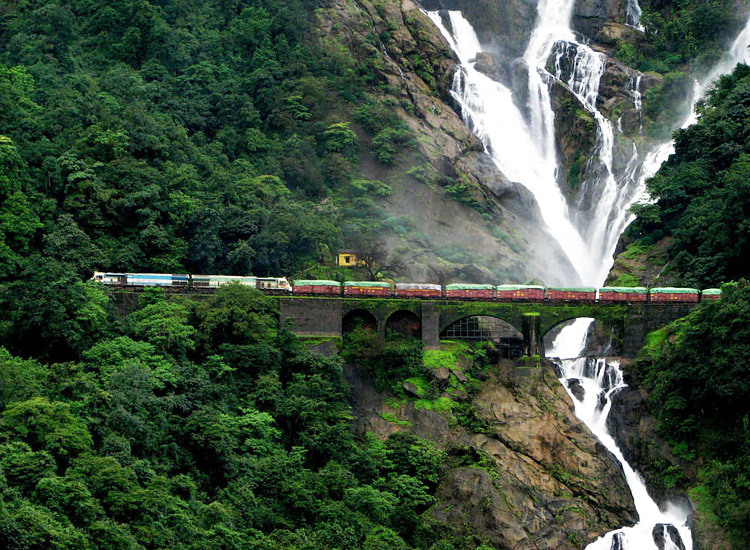 The waters of Dudhsagar Falls, falling from an incredible height of 1017ft, present a spectacular sight. It owes its name, “Dudhsagar,” meaning “sea of milk,” perhaps to the white spray and foam which is created by its waters as they land. These waterfalls split into three streams as they pour over a vertical cliff. 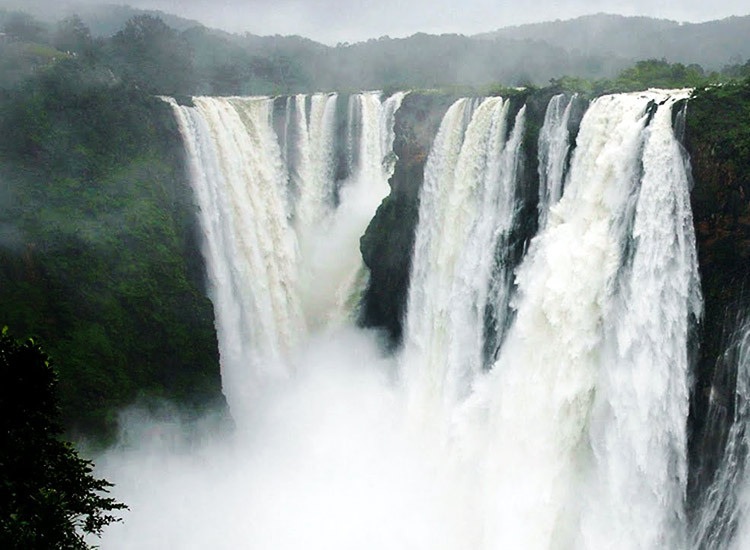 Jog Falls, in Karnataka, is undoubtedly one of the highest waterfalls in India. Here, the Sharavati River descends forcefully from an amazing height of 830ft in four different cascades – Raja, Rani, Rover and Rocket. However, visit these falls during the monsoon, when arched rainbows color the mist, and you will witness an enchanting sight. Nohsngithiang Falls, also known as Mawsmai (Seven Sister) Falls, are located about 1km south of Mawsmai village in Meghalaya. 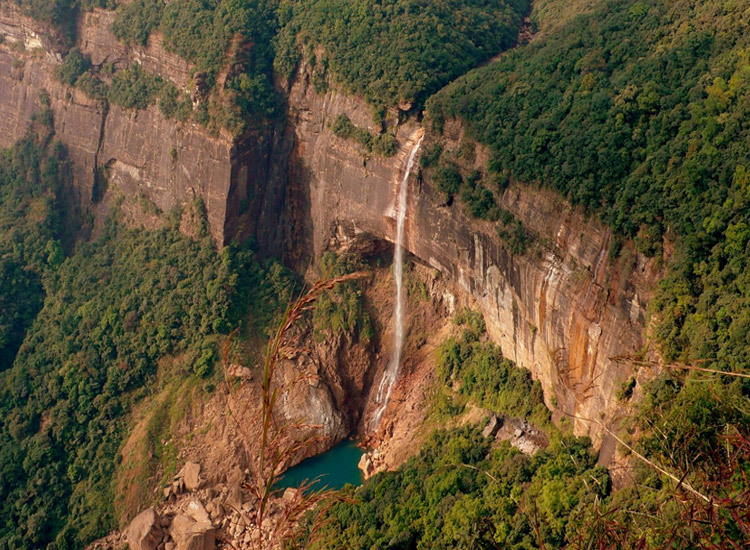 Falling from a height of 1,035ft, they are the fourth highest waterfall in India. During the monsoons, they overflow with water, and create a perennial rainbow as they descend, thus attracting visitors. 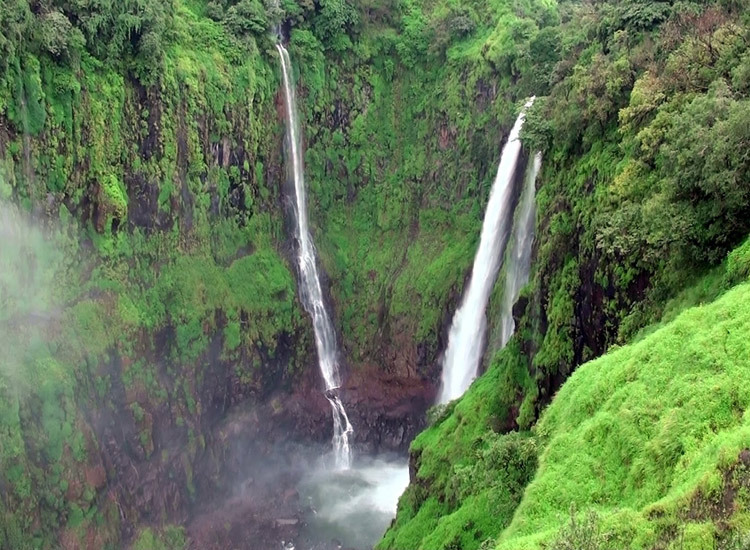 Thoseghar Waterfalls, located near the Satara city of Maharashtra, are a series of falls with contrasting heights. The highest fall reaches a height of 500m, while the lowest one reaches a height of 15-20m. 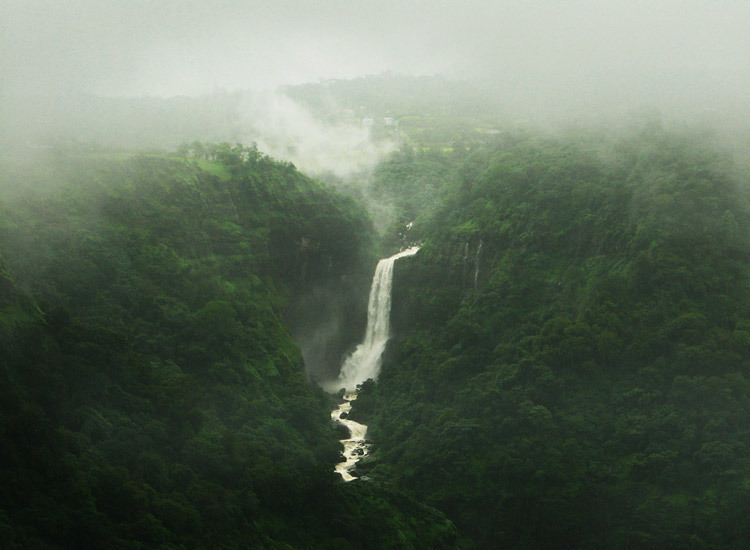 Enclosed by dense, green vegetation, these waterfalls are a photographer’s delight, particularly during the monsoons. 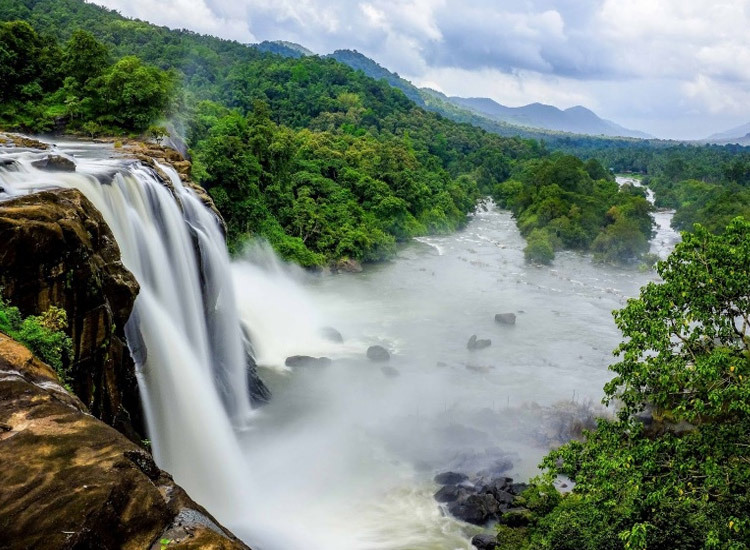 Athirappilly Waterfall is situated on the Chalakudy River, which originates from the upper reaches of the Western Ghats. 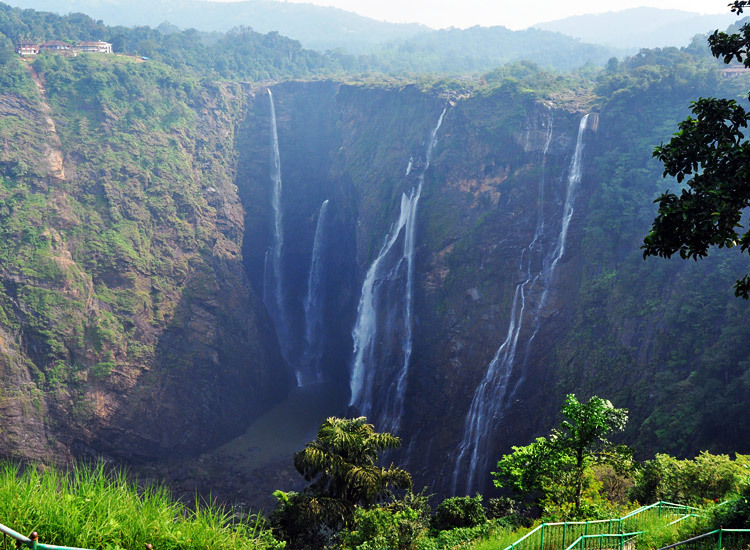 This fall is regarded as one of the most popular waterfalls in India. Situated at the entrance to the Sholayar Ranges, the waters here fall from a height of 80ft, making it the largest waterfall in Kerala. Courtallam is home to many waterfalls, each more wonderful than the other. Chitraruvi (Small Falls) has a thin flow of water which attracts tourists. 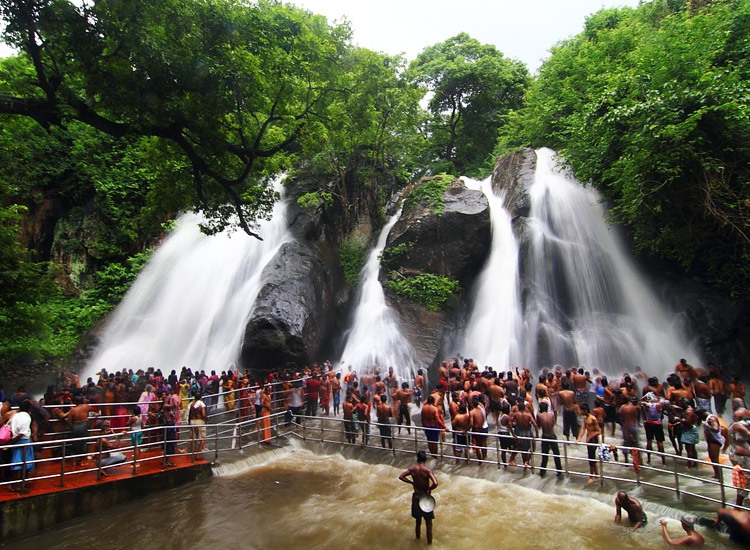 Aintharuvi, meaning Five Falls, with its five different cascades of running water, is another major attraction. 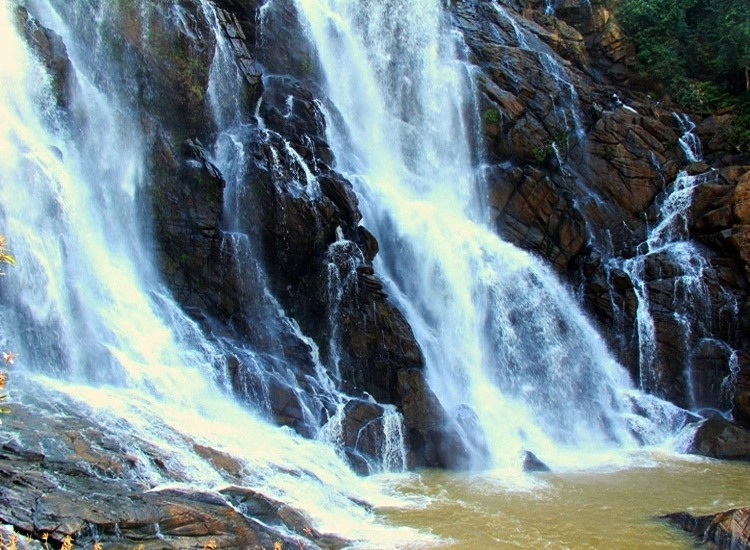 Puli Aruvi, an artificial waterfall, is another famous spot, which is also visited by tigers. 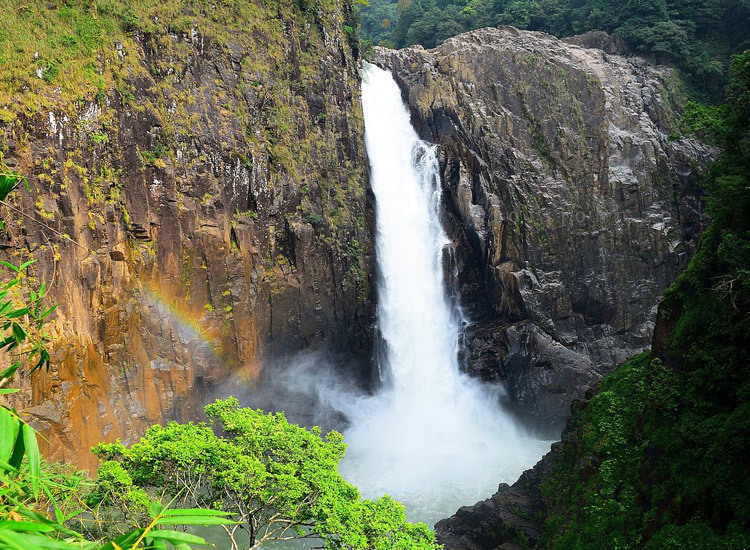 Talakona Waterfalls, falling from a height of 270ft, are an impressive sight. 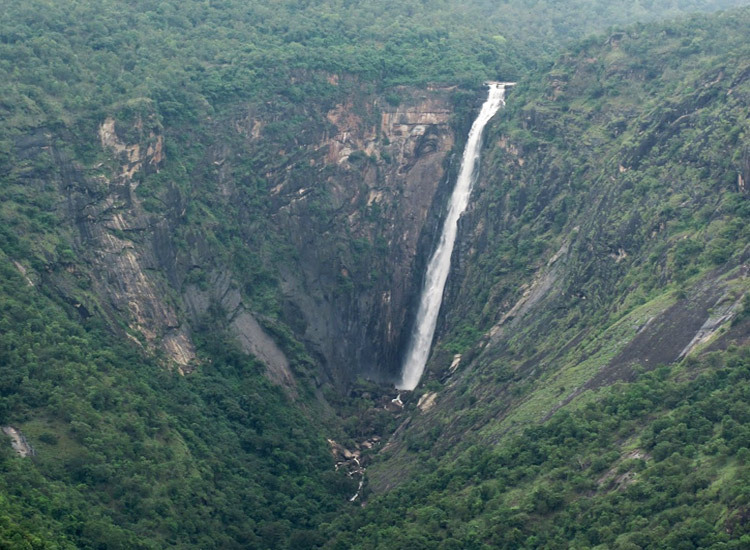 These falls are located at the Sri Venkateswara National Park in the Chittoor District of Andhra Pradesh. They are also famous due to the Lord Siddheshwara Swami Temple, which is located in close proximity. Rare flowers and butterflies envelope the waterfall. Khandadhar Waterfall is one of the most famous waterfall of India. 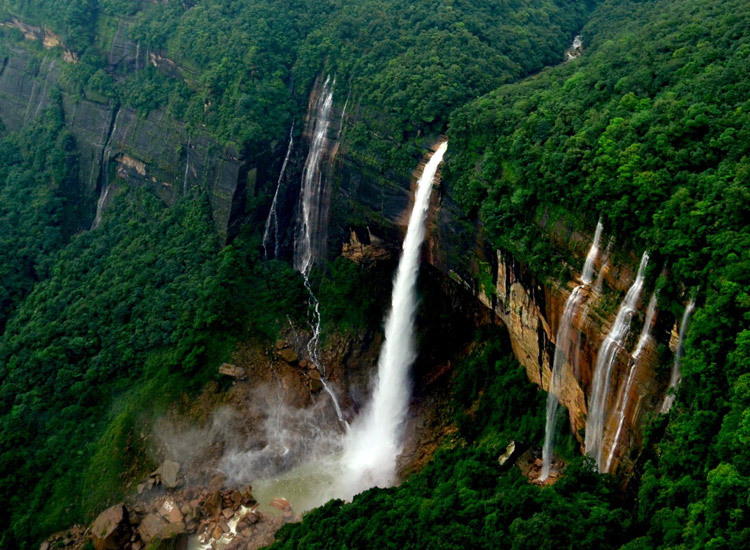 It falls from a height of 244m, thus making it the highest waterfall of the state. The amazing scenery surrounding the waterfall also makes it a great picnic spot. Besides, its surroundings also serve as a perfect base for trekking and sightseeing. 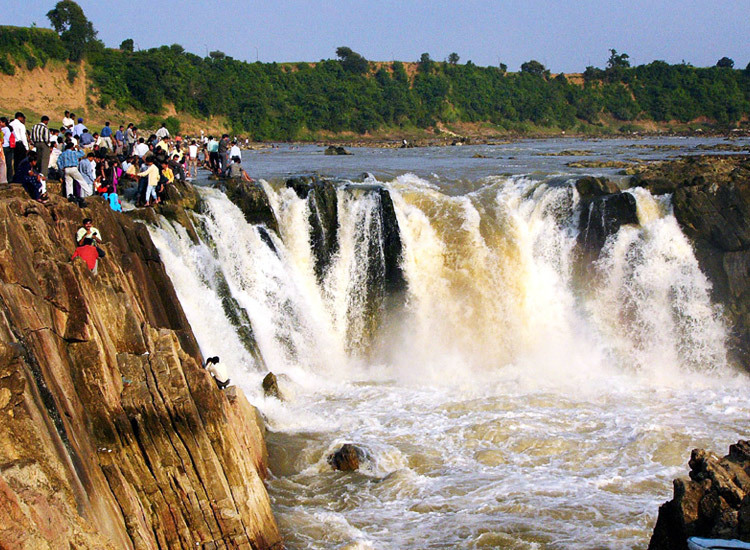 Its only natural that Chitrakote Waterfall is counted amongst the most beautiful waterfalls in India. Also known as the mini-Niagara falls of India, they plummet through coarse vegetation and cascade from a height of about 95ft. A horse shaped waterfall, its full glory is fully visible during the monsoons. Dhuandhar Waterfalls, despite being just 98ft high, are still quite popular. This is due to the mist which is formed by its waters falling on hard rocks, thereby creating visuals of smoke. One can take a dip in its lovely cool waters in the bank upstream, or simply enjoy the scenic vistas all around. Kunchikal Falls is one of the lesser explored waterfalls in the country. The hundreds of rocks that form the backdrop of this waterfall create a picturesque sight. Falling from an unbelievable height of 1493ft, the water gushes down here for more than a kilometer. This place also serves as an excellent picnic spot. 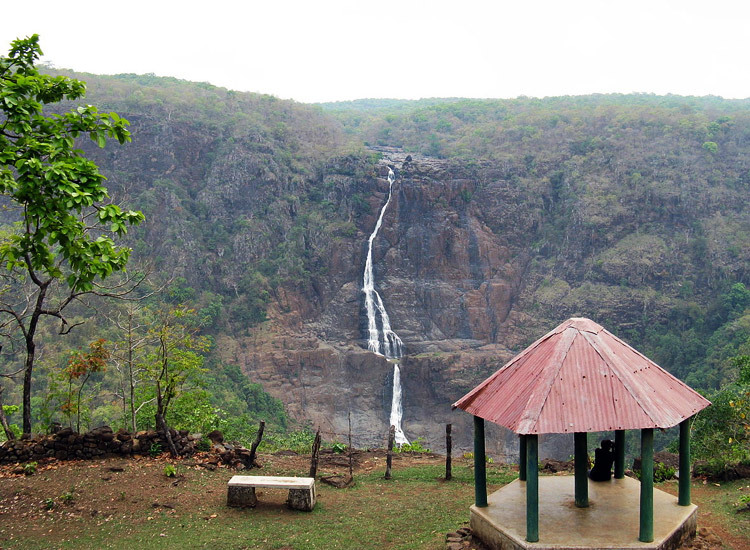 Barehipani Waterfalls holds the distinction of being India’s second highest and Odisha’s highest waterfall. This fabulous waterfall is a two-tier waterfall, and unveils every part of its beauty with its step-by-step descend. Located in the heart of Simlipal National Park, it complements the beauty of its surroundings. A series of falls combine to make one gorgeous waterfalls known as Langshiang Falls. Measuring upto 340m, they are located in close proximity to Sangriang Village. Even though these falls are visible from a distance, their real beauty is visible only when comes closer. Located on the Nongkhnum river island, they are only accessible via a boat ride. 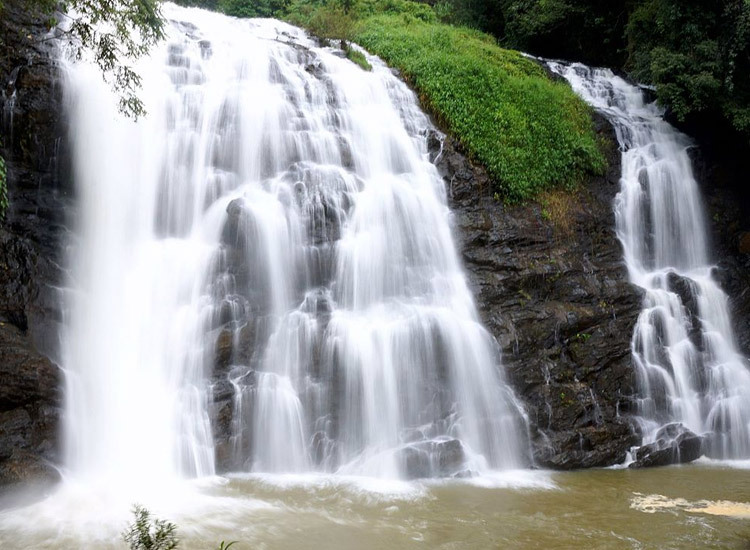 Among the many waterfalls in India, Meenmutty Falls deserve a special mention because of their outstanding beauty. Located in Wayanad in Kerala, one has to undertake an exciting trek of 2km to reach it. Here, the waters drop from an impressive height of 100ft, thus creating a triple decker effect. 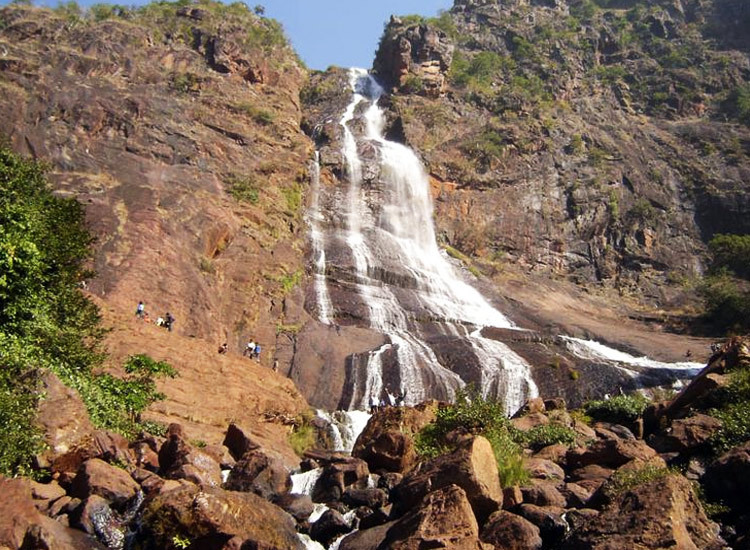 Thalaiyar Falls are located on the Palani Hill in the Dindigul district of Tamil Nadu. They appear like a streak of white light amidst forest covers that fold it from all sides. For this reason, its also known as “Rat Tail Falls.” One can enjoy the beauty of these falls from the road side benches available here. Kune Falls are located at an altitude of 622m, and are set against the gorgeous backdrop of the Sahyadri Mountains. 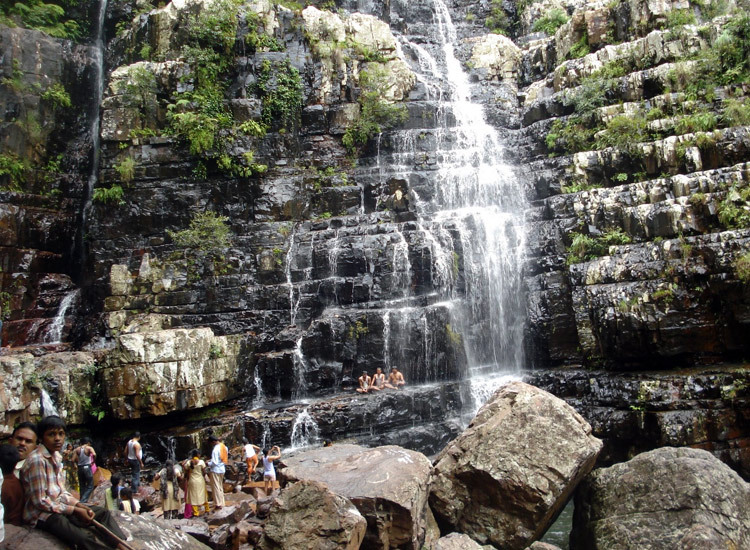 It is a three-tiered waterfall cascading from a height of about 200m. This entire place is enveloped by lush green vegetation and is one of the most popular in Maharashtra. 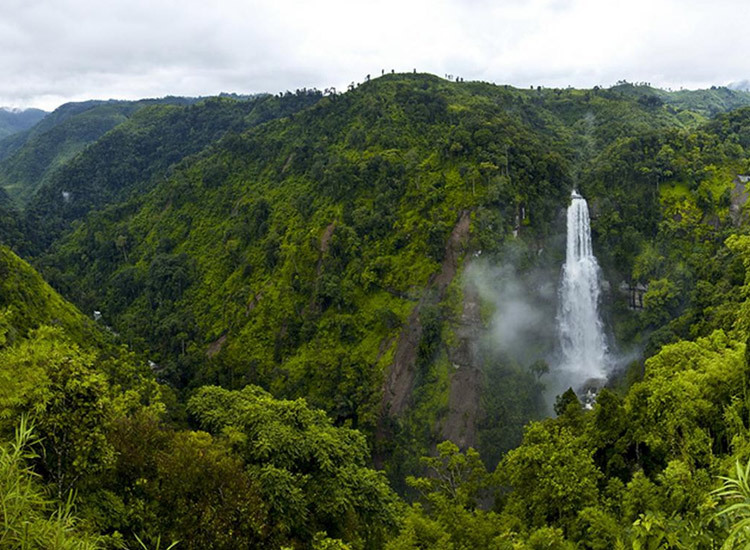 Vantawng Falls hold the distinction of being the highest waterfalls in Mizoram. These falls get their name from Vantawng, an excellent swimmer who could swim like a fish in the water at the base of the fall. A viewing post erected at the top by the tourist department enables one to view these falls. Nohkalikai Falls present a picture of mystery and fascination. Here, the waters of these falls cascade down from the top of the gorge to the mystical appearing green pool below. It’s said that a grief stricken mother, unable to overcome her sorrow over the murder of her daughter by her husband, plunged to her death here. Umbrella Falls is a fabulous seasonal waterfall situated at the Bhandardara Dam in Ahmednagar district of Maharashtra. This waterfall comes to life only during the monsoons, when the Wilson Dam overflows and water gushes out from a small opening from its northern end, over a semi-circular rock. However, this waterfalls can only be visited during the monsoon season, when the dam reaches full capacity. 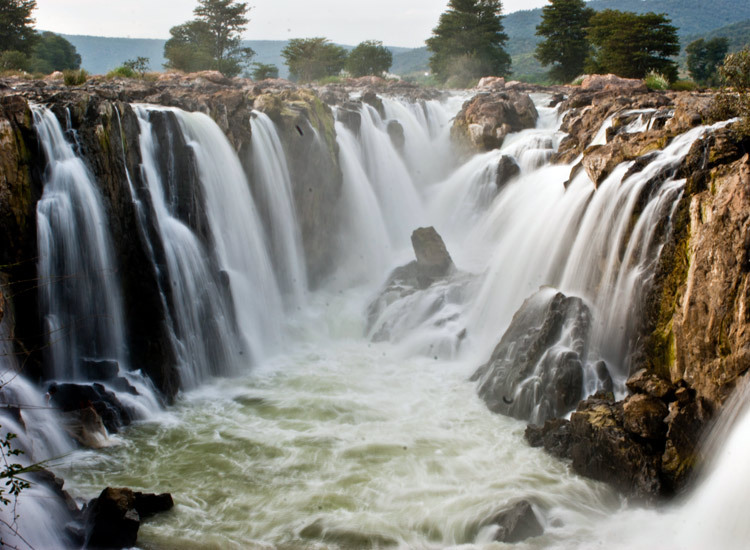 Hogenakkal Falls, located on the Kaveri River, are one of the most famous waterfalls in India. The waters here are said to contain medicinal properties. Besides, boat riding is a famous activity here. Carbonite rocks contained on this site are considered to be the oldest of their kind in South Asia. Tucked between coffee and spice estates, Abbey Falls are a major picnic spot for their mesmeric beauty. To reach the waterfalls, one must go past stocky coffee bushes and tall trees interwoven with pepper vines. These falls cascade their way down steps into limpid pools to join the Kaveri River.